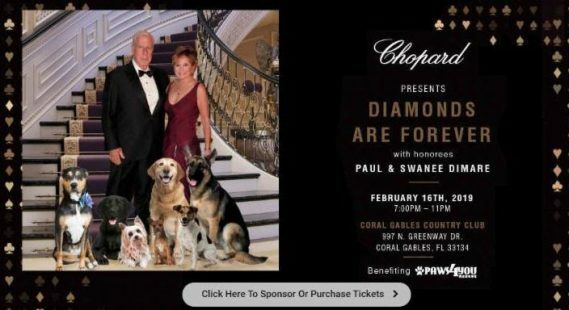 On behalf of Chopard® Fine Jewelry, you’re cordially invited to a casino-themed charity gala, “Diamonds are Forever,” to benefit animal rescue Paws4You and honoring special guest David Cone, former Major League Baseball pitcher for the New York Yankees who is celebrating the 20th anniversary of his perfect pitching season and publishing a book co-authored with Yankees analyst, Jack Curry. 4You rescue dogs. Well-known philanthropists Paul and Swanee DiMare are this year’s honorees.